5.Consistent power with iAVR(intelligent automatic voltage regulation)technology. 1Q:Can I only buy parts not whole system? A: Yes, for example you can manufacture tower in local, we can supply you tower drawing. 3Q: What are your payment terms? A:"Quality is first, Customers are friends". Every piece of goods is tested strictly one by one before packing and shipping. Senci was born in Chongqing, China in 1990, contributed himself to the creation and production of high quality alternators and generator sets. As a professional inventor and manufacturer of small and medium sized alternator and generagtors, Senci consists of 6 subsidiary factores and 1 import and export trading company, specialized in developing, producing and exporting high quality gasoline generators, gasoline engines, water pumps, pressure washers, and other auxiliary spare parts such as mufflers, control panels, frames, etc. All of the subsidiaries possess many proprietary intellectual property rights and patents adn have passed ISO9001:2000 quality management system, with products gained quite a few international certificates. 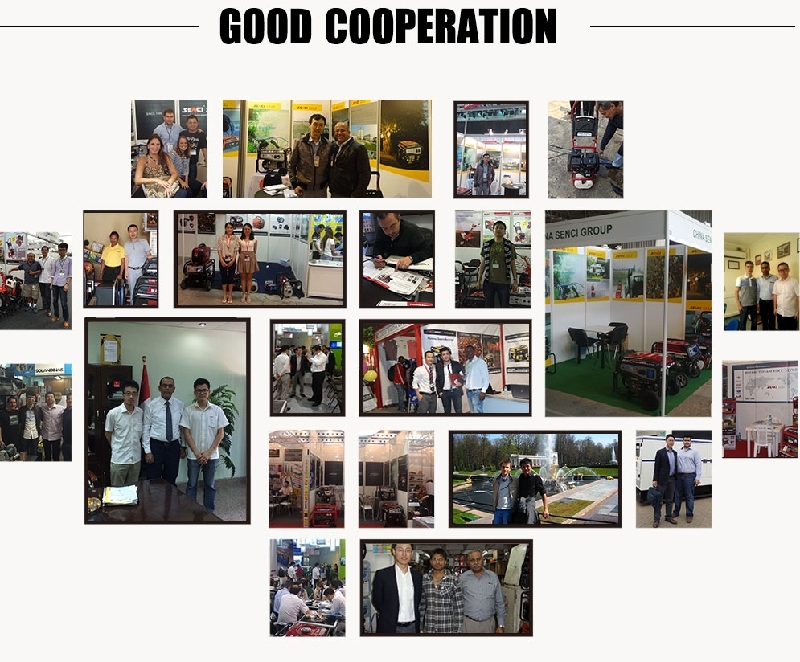 By which, Senci enjoys high reputation in his field and provides excellnt products for customers from more than 50 countries and regions, among which there are quite a few world-class generator giants that Senci has established steady and close collaborative relationship for many years. To create broad prospect mutually on the basis of meeting demands from customers in all-round way, Senci keeps providing innovational products and service as well as contributing to sustinable profit and profitable increase for global clients. We are professional generator. We are doing our best to be a big player in our field, with support of over 2000 innovative and hard-working Senci staff. Welcome worldwide friends to visit and cooperate with Senci.